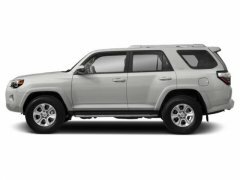 If you are looking for a new Toyota car, truck or SUV near Los Angeles, you have arrived at the right place — Keyes Toyota has a huge selection of new Toyotas for you to choose from! 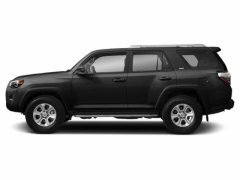 We carry the best of what the Toyota lineup has to offer, and our sales associates will happily assist you in finding the model that most suits your transportation needs and desires! From the compact and efficient 2019 Corolla to the powerful Toyota Tundra, no matter what you need out of a new vehicle, the Keyes Toyota inventory can provide! What’s more, we have a variety of trims available on many of our vehicles so you can find a specific car with the exact capabilities and amenities that you are looking for. Before you shop with us, make sure to check out our many special offers on new vehicles, as we are constantly trying to find ways to provide the customer with great value on their purchase. Once you’ve found a Toyota car, truck or SUV that you love, take it out for a test drive to get a true feel for the car’s performance. From there, we can finish up the purchase process in our financing department, where our friendly finance managers will ensure that you secure a lease or loan that is fitting for your unique financial situation. From beginning to end, the car buying process with Keyes Toyota is marked by great value and convenience! Contact us today if you have any questions!